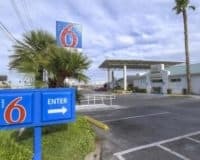 The Howard Johnson Hotel, 165 East Tropicana Avenue, is a great choice for business people and pleasure seekers. Howard Johnson on East Tropicana, Las Vegas, is a well-located hotel, which sits close to the world-famous Las Vegas Strip. 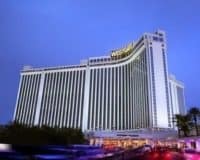 This makes it a good choice for people seeking a comfortable Vegas motel that won’t break the bank. The hotel offers a decent range of amenities, including a refreshing outdoor heated swimming pool, free parking and a twenty-four-hour front desk. While business clients are bound to appreciate the modern business center, with printing and photocopying facilities along with free WIFI that is accessible throughout the property. The accommodation is good, with each air-conditioned room, including an ergonomic work desk, coffee and tea making facilities and a flat-screen television equipped with cable. 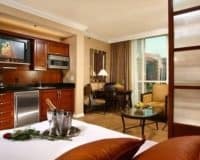 Yes, the lodgings aren’t as luxurious as some that you can find in Vegas, but they do the job and will make you feel totally at home. 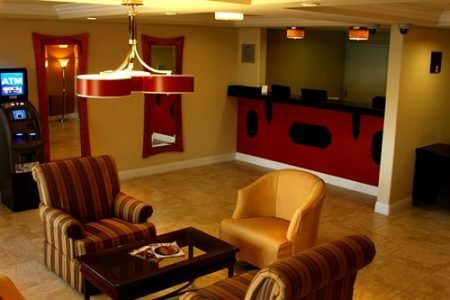 Howard Johnson on East Tropicana, Las Vegas, is a great choice for business people and pleasure seekers alike: providing comfortable rooms and a decent range of amenities. Most important of all it is affordable, allowing guests to spend more money on fun in Sin City.